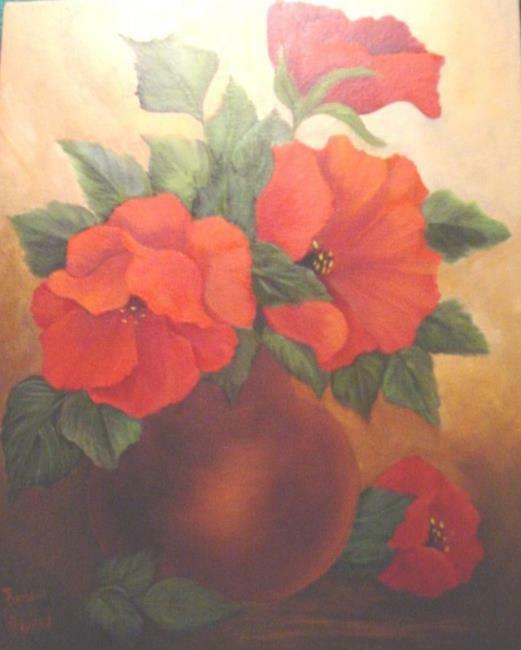 This piece was done in oils and because I love poppies. 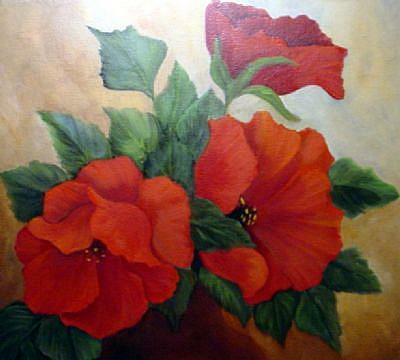 The vase is a dull red and the poppies are red and very big. I did that to show the form better. The poppies we have here are rather small. I am entering them in the Flower of the month show this month.